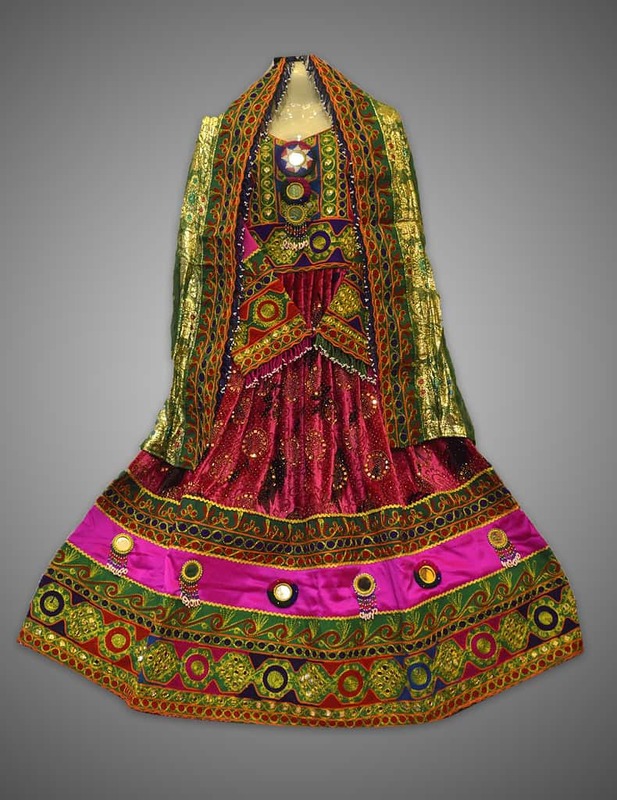 A traditional Afghani Multi frock Kuchi Dress that features beautiful colors, along with mirror and thread work. 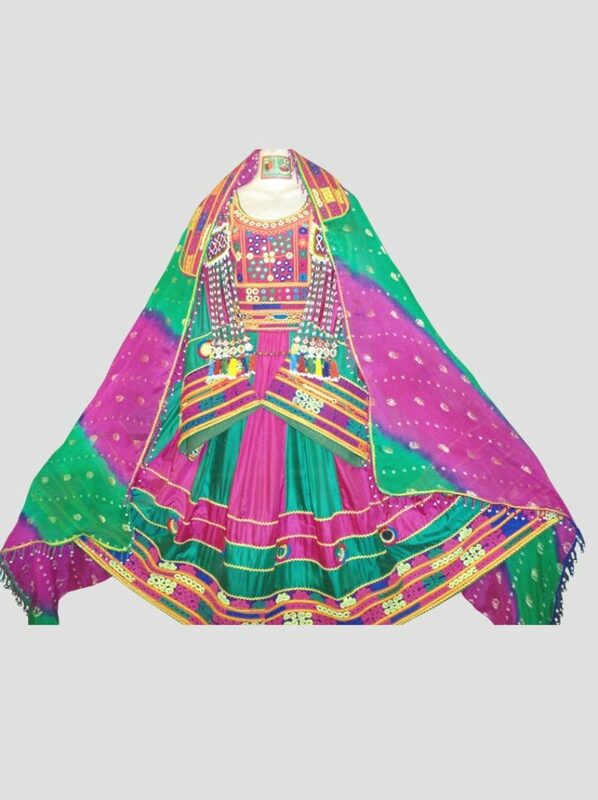 The entire frock is filled with small hand-woven design, that adds a great deal to the overall look of the frock. 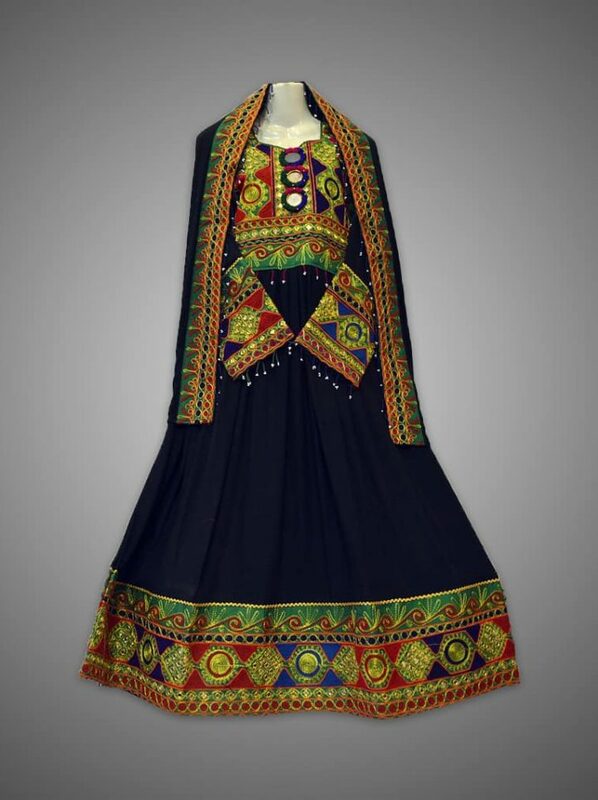 This dress is exactly what you will find Afghani women wearing to a semi-formal, or formal setting. As it contains all the local hits, from hanging motis to mirror work detail on the top and the bottom. 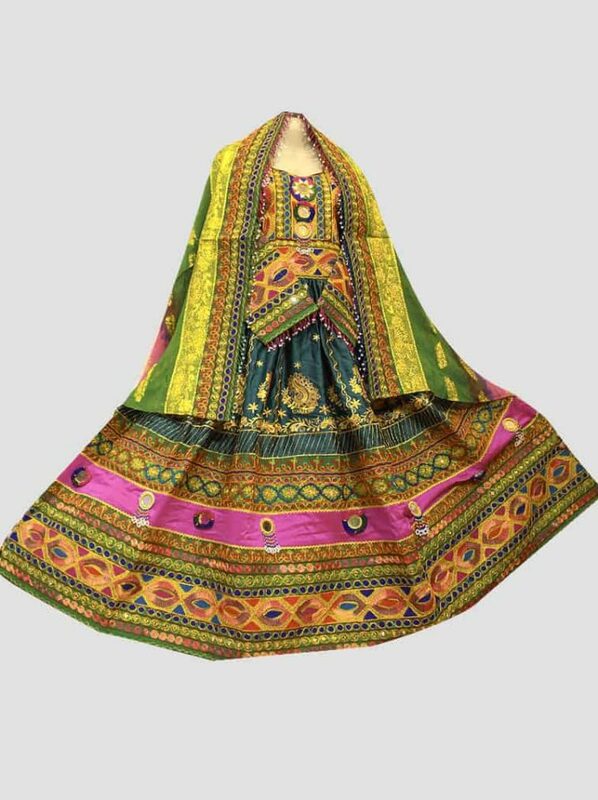 The frock features bold and dynamic colors, that are paired with equally gorgeous thread colors. The dress will be a great hit at any themed party and will help you stand out. 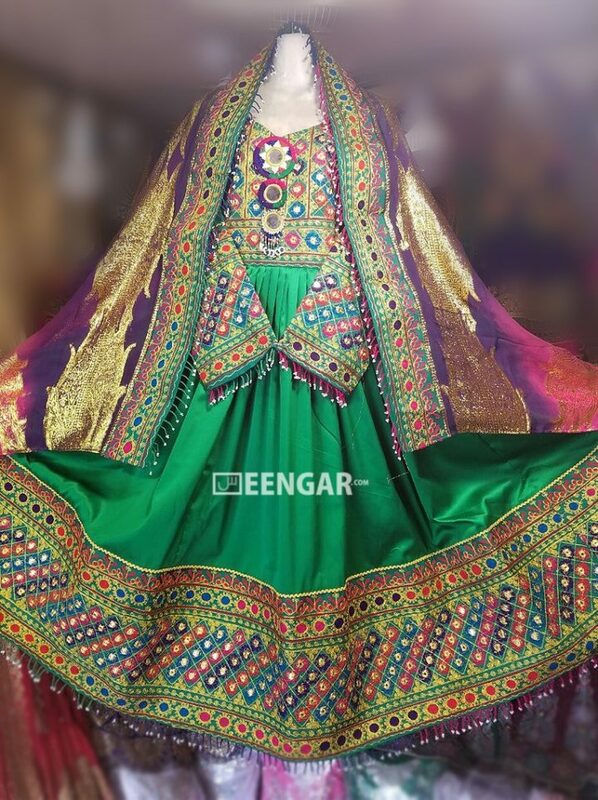 The dress will be a great hit at any themed party, wedding or Nikah and will help you stand out.